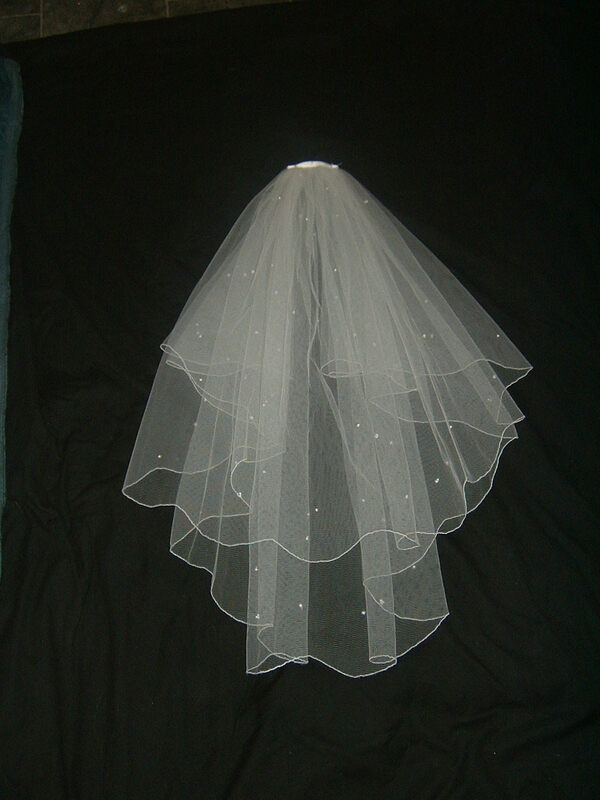 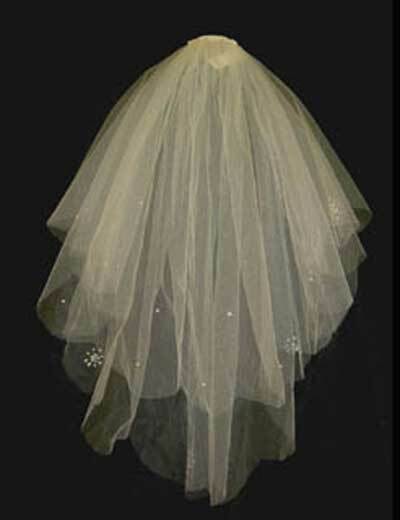 fine edge on a wave For additional decoration this wedding veil can be scatter beaded all over in pearls, crystals or diamantes. 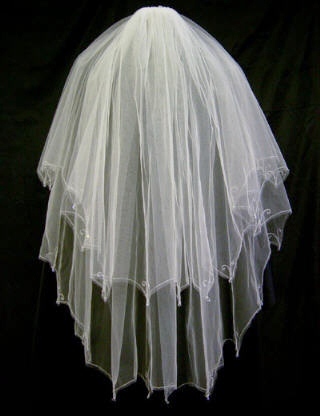 Available in all colours and lengths. 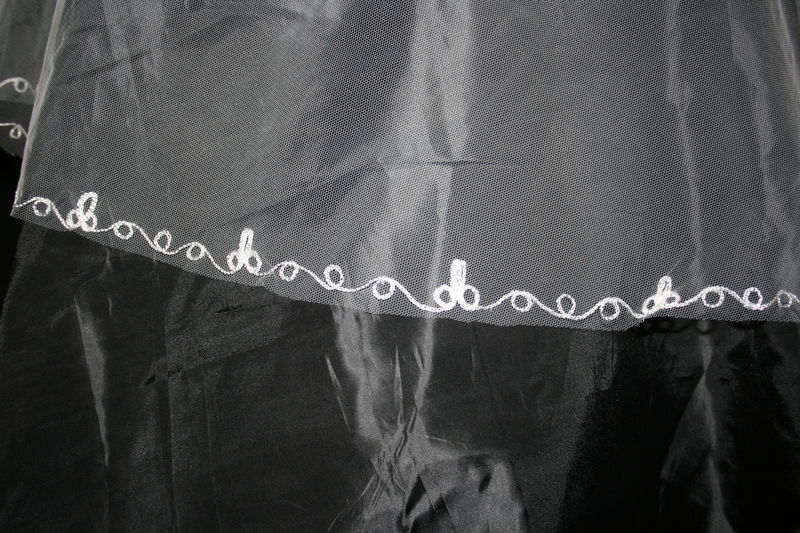 hand scalloped and a diamante trim at the side of the daisy Available in all colours and lengths. 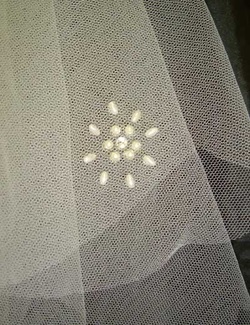 ​605 This fabulous two tiered wedding veil has embroidered inverted scallops to face and second tier, with a hand sewn drop crystal at EVERY corner. 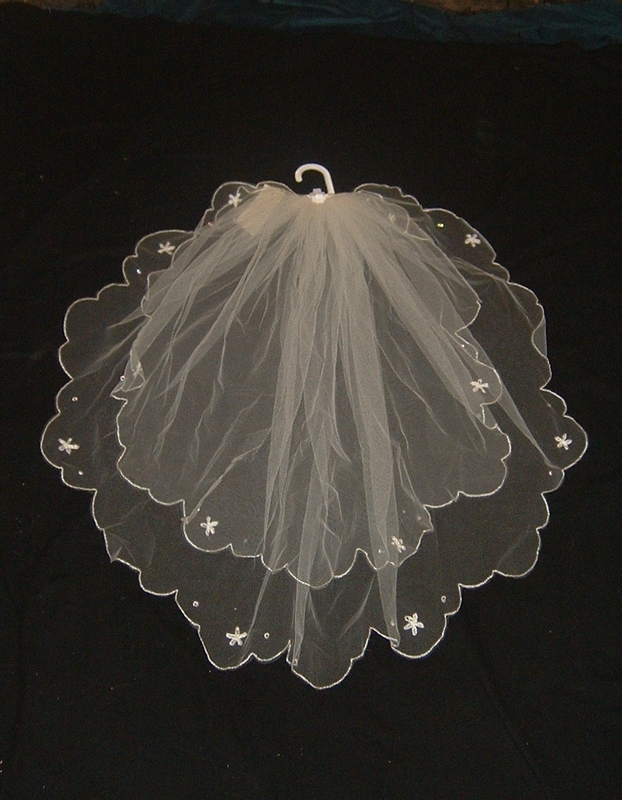 Photographed here in off white net with silver embroidery, half gathered onto a clear comb. 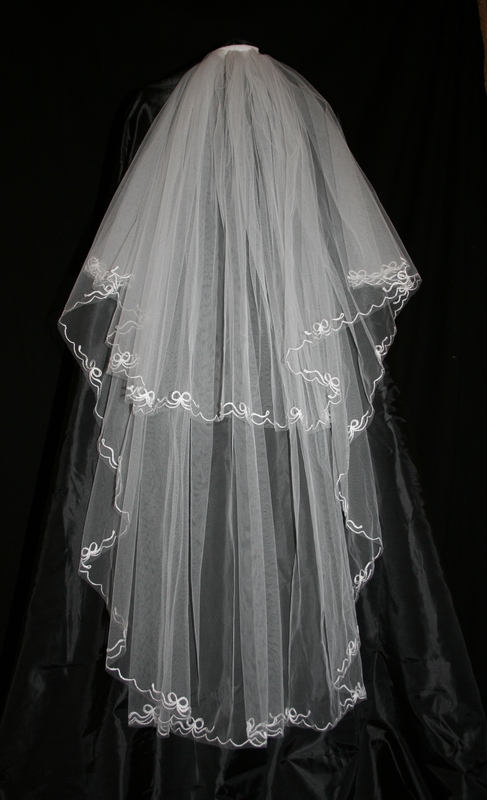 606 Inverted Knots two tiered wedding veil, photographed here in black net with Black/Gold embroidery, half gathered onto a clear comb Available in all colours and lengths. 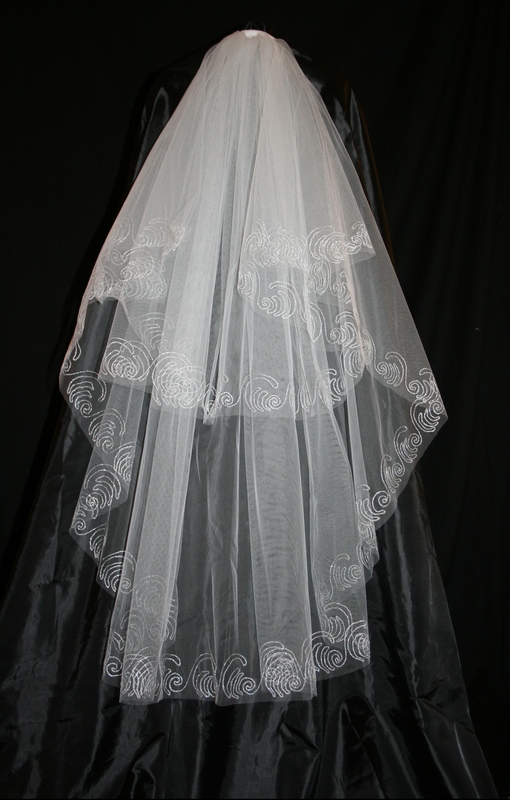 708 is a stunning two tiered veil with silver embroidery to face and second tier. 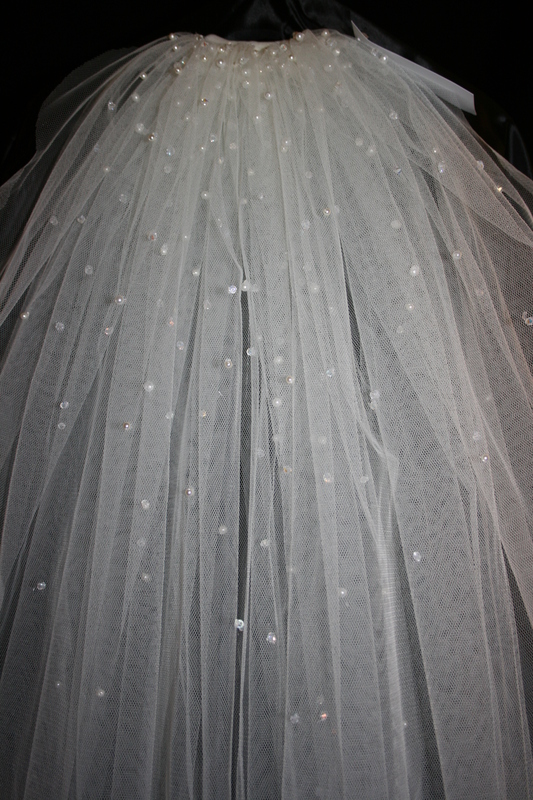 ​This is a two tiered scalloped wedding veil with pearl and diamante clusters around the perimeter and scattered with pearls and diamantes. 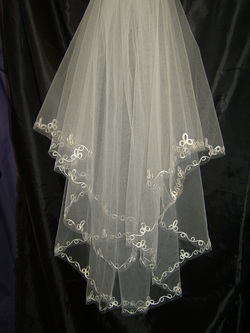 ​706 two tier wedding, Available in all colours and lengths.